Why did America turn its back on free jazz? Fortunately, Europe offered refuge. In fact, post-World War II Europe was enlightened, perhaps forced by circumstances to accept a non-leadership role in the new world but prepared to listen to new sounds from all over the world. Live in Germany, 1967. Tk 1 in Donaueschingen Musiktage für zeitgenössische Tonkunst, Oct 21, Tk 2 & 3 in Berlin Philharmonie, Nov 2. Irene Schweizer was 26 when she performed with the Dewan Motihar Trio. While her contemporaries like The Beatles had formed earlier in England and played Hamburg, Schweizer, a Swiss, probably influenced by Cecil Taylor and Archie Shepp, had formed a free jazz trio in Germany with Uli Trepte and Mani Neumeler. Prog rock and avant garde fans will recognise the duo as the founders of Guru Guru. Less than a year later, the duo would form the Krautrock band with Jim Kennedy. Guru Guru had one foot in jazz and the other in rock. They gave to the Irene Schweizer Trio a heaviness only drummer Mani Neumeier could invent. Schweizer was part of the Feminist Improvising Group, whose members include Lindsay Cooper, Maggie Nichols, Georgie Born and Sally Potter. At the time, this was radical stuff. Women in jazz were relishing their role as players and not just being the diva in front of the band. Schweizer has been compared to Cecil Taylor in The Penguin Guide To Jazz. This concert was part of a series of shows recorded by Germany's SWF (Südwestfunk Baden-Baden) station. The tour was in support of artists from around the world and had the name Jazz Meets The World and included Americans like The Archie Shepp Quartet, Germany's Globe Unity big band, France's Barney Wilen, from India the Dewan Motihar Trio, flamenco jazz with the Pedro Itturalde Sextet with Paco de Lucia and the Indonesian All-stars led by Tony Scott. There was also a segment called Jazz meets Africa with Olatunji and American Philly Joe Jones. 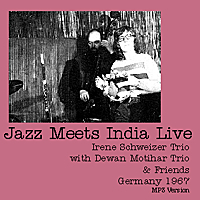 This show offered covers only the Irene Schweizer Trio and is a merge of two excerpts recorded from German radio that contains two versions of the long Manfred Schoof composition, Brigach And Ganges, which features Indian classical music. In turns, the jazz trio weighs in with the melody led by Schweizer's piano then gives way to the sitar and tabla of the Dewan Motihar Trio. It is a duel between free jazz and Indian raga. Neumeier's drumming thunders while the Dewan Motihar Trio offer an intriguing Asian variant to heavy drumming. The tune comes to live when Manfred Schoof and Barney Wilen bring on the horns. Then it becomes a contest of Eastern and Western modalities as Motihar solos fiercely, then Keshav Sathe's tabla and Kusum Thakur's tambura and again the maniacal horns of Schoof and Wilen. Out of the storm, Motihar remains to render a final pluck of the sitar and calmness returns. 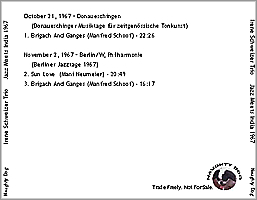 The second version of Brigach And Ganges is about six minutes shorter and seems a heavier version or perhaps it was recorded differently with more emphasis on the bass. This is not Keshav Sathe's first encounter with jazz. In 1961, he played together with the harmonica virtuoso Larry Adler. Sathe moved to the UK in 1956 and was part of the Asian Music Circle. Even as Empire crumbled, all its parts were in a fusion that created something new. Listening to this may suggest why America turned its back on free jazz. Was the rhythm too alien to jazz's African roots? Inward looking America has been described as conservative and parochial, by contrast a landlocked Europe has had to look elsewhere to expand. Strangeness and strangers were to be co-opted or conquered. This fantastic music (a very good recording, taken off radio but with some static) was shared by Sammler KK on the Dime site. All thanks to him. It's quite a discovery and revelation. Side by side and growing with popular music was this remarkable development of east and west, world music before the term was coined. At the time all things were possible. Unlike pop, this fusion was about art and culture. These days everything is given a label with a sell-by date. Even the sharing of music is no longer free but stealing. How can ideas prosper and spread if not shared for free? Both shows rebroadcast on WDR FM. Producer Joachim-Ernst Behrendt. 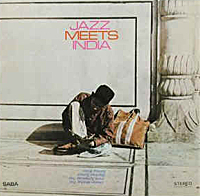 The original LP Jazz Meets India is long out-of-print. It appeared originally on the SABA label Dec 23 1967. That first edition contained two tracks Sun Love and Yaad. This LP was reissued by Polydor for wider distribution in 1969 and included an extra track, Brigach And Ganges. It remains a hard-to-find item. But Irene Schweizer continues to record as a soloist and with guests. You can buy her album with drummer Han Bennink from 1997 here. 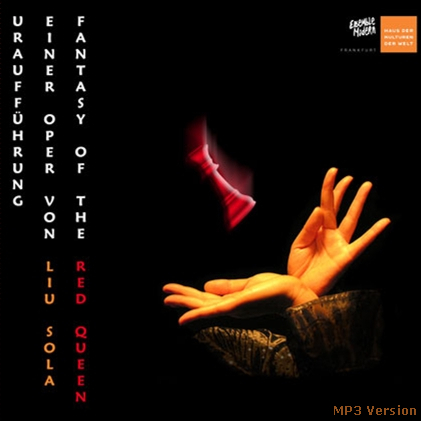 The rest of the Irene Schweizer Trio returned as Guru Guru , and a nice sample of their work remains the first album, UFO, which thankfully was reissued on CD in 2003 and remains in print on the Pilz label. It contains two extraordinary songs Girl Call and Stone In. It also includes their notorious Der LSD Marsch [The LSD March]. Click on the link to order the album. The Dewan Motihar Trio can be heard on the Jazz Meets India recording. One track, Yaad, was included on the 4CD box set Jazz Meets Asia that was released by MPS/Universal in 1997. It is out-of-print. Barney Wilen remained prolific till his death in 1996 but for a taste of his early works, try Jazz Sur Seine [Jazz In Paris], a work in collaboration with three members of the Modern Jazz Quartet, playing French jazz tunes and a nod to Monk with Epistrophy. Click on the link to order the album. Manfred Schoof's European Echoes (1969) recorded in 1969 with Irene Schweizer, Han Bennink and others can still be found as a used CD. It was reissued in 2002. Click on the link to order the album.